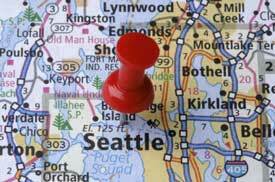 Are you thinking about buying a home in the greater Seattle area? Or are you contemplating selling the home you already have? You can be assured that my team approach to working my clients will reward you with a successful buying or selling experience. If you're thinking about either buying or selling a home, a good way to get started is to research other homes that are currently on the market or have sold. My easy Property Search will give you the tools to get started. You can refine your search to meet your needs. If you're new to Seattle, look on my Seattle page to get more information about our area. If you have any questions, would like more information, or would like to talk to me about selling or buying a home, please contact me.